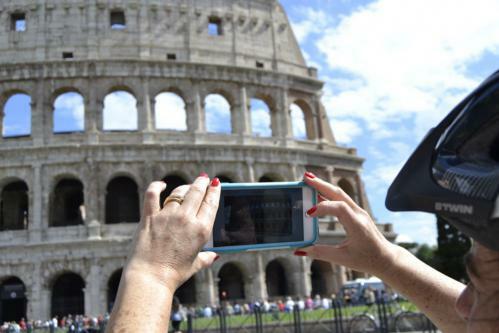 VIRTUAL REALITY experience at Colosseum stop! 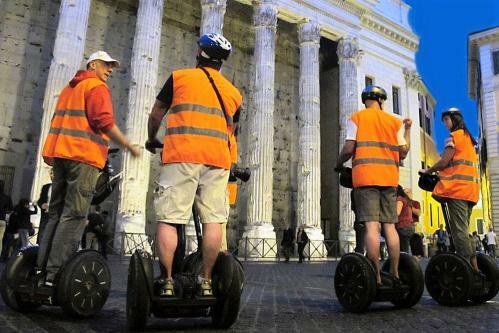 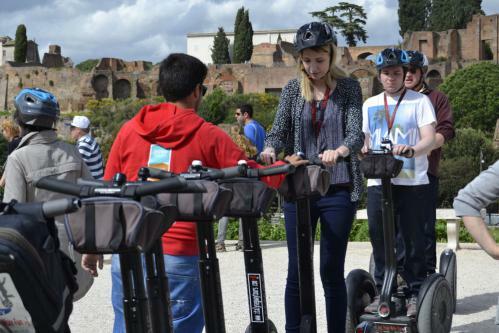 The Private Segway Tour in Rome is the perfect way to enjoy a birthday parties, corporate team building, meetings, family reunions, social groups or just plain fun with your friends or family in Rome. 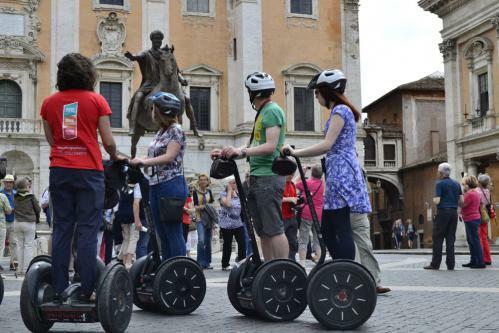 The private segway tour in Rome will allow you to discover more of the area with an in-depth understanding of the local culture and history. 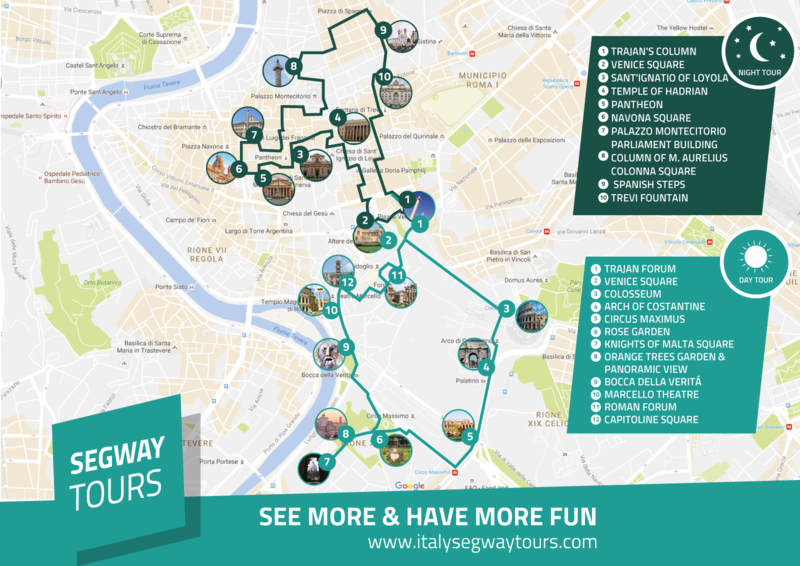 Your 3-hours private tour will be delivered by a personal guide that will tell you as much, or as little as you want to hear, and not just about history and monuments, but also about all aspects of today's life. 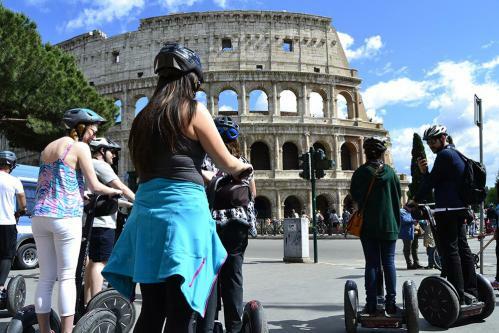 WHAT'S INCLUDED: Private tour experience, Virtual Reality Experience ar Colosseum (Imperial Itinerary), Segway rental, orientation session, personal guide, headphones, helmet, ponchos in case of rain and insurance. 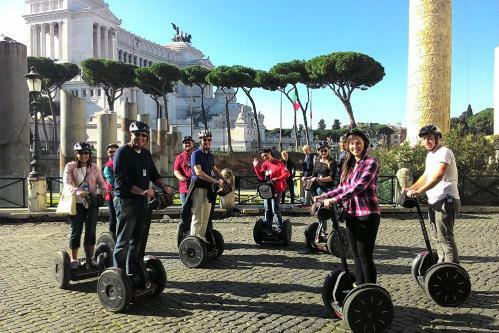 Since this is your private experience, you have the advantage to choose your preferred tinerary (Imperial Tour or Baroque Tour) simply communicating us your choices during the booking process thought the special notes. 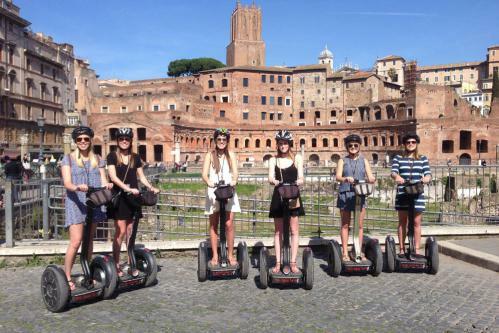 Imperial Tour Highlights: Trajan Forum, Colosseum (outside), Arch of Costantine, Circus Maximus, Knights of Malta Square, Orange Trees Garden, Bocca della veritá, Marcello Theatre, Roman Forum and Capitoline Square. 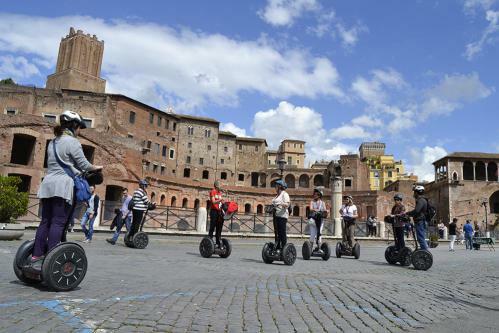 Enjoy a breathtaking panoramic view over Rome, where you will without a doubt feel the magnificence of the Roman civilization. 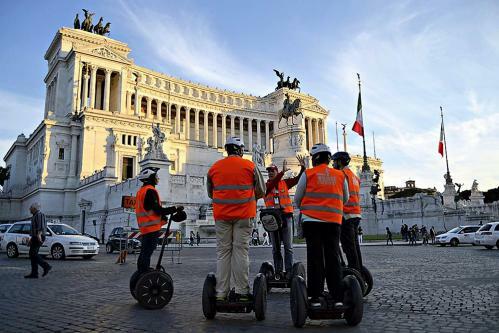 Baroque Tour Highlights: Trajan's Column, Venice Square, Sant'Ignatio of Loyola, Temple of Hadrian, Pantheon, Navona Square, Palazzo Montecitorio, Parliament Building, Column of M. Aurelius, Colonna Square, Spanish Steps and Trevi Fountain. 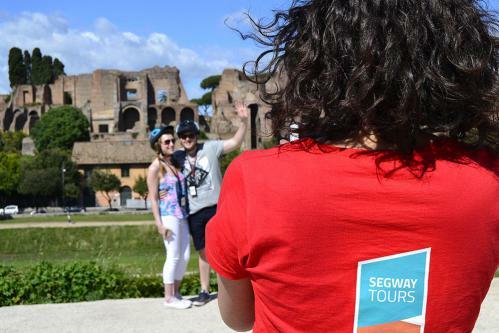 No refund will be granted for late arrivals, but we will do our best to accommodate you on another tour or date, pending availability.